While doing our part in curbing our carbon emissions and leave a lighter carbon footprint to help reduce the CO2 in our air, a girl still wants to look cute. The solution is of course the Little Gems eco-bling line of jewelry! 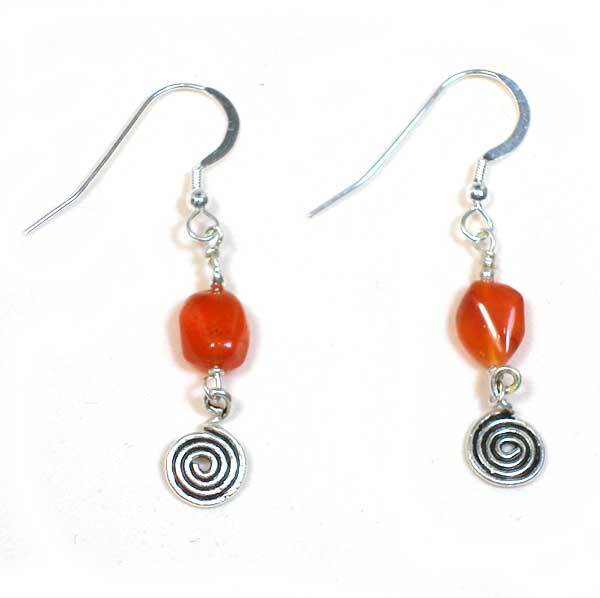 These adorable earrings feature eco-conscious gems: Red Carnelian, Sterling Silver swirl and earwire. They dangle 1"